Sergey Vladimirovich Artsybashev graduated from the I. M. Sechenov First Moscow Medical University in 1982. In 1983 he completed his internship at this university on the basis of Faculty of Eye Diseases of the Moscow Municipal Ophthalmology Clinic after Krasnov. From 1983 until 1984 Dr. Artsybashev worked as the ophthalmologist in the Moscow Municipal Ophthalmology Clinic. In 1984 Artsybashev was invited to work in the Moscow Eye Microsurgery Institute headed by Academician Svyatoslav Fyodorov; Dr. Artsybashev started working in the Department of Refractive Surgery and performed operations using a radial keratotomy method. From 1986 to 1987 he worked in the International Department of the Eye Microsurgery Institute. In 1987 Artsybashev began to work in Fyodorov Institute in the Department of Corneal Transplantation under the direction of Professor Valentina Kopaeva. He also worked in this department with the faculty of Doctors’ Improvement of Semashko Medical University where he operated and taught foreign and local ophthalmologists of the radial keratotomy method. Among the students were a group of doctors from such countries as Venezuela, Spain, Italy, China and Syria. 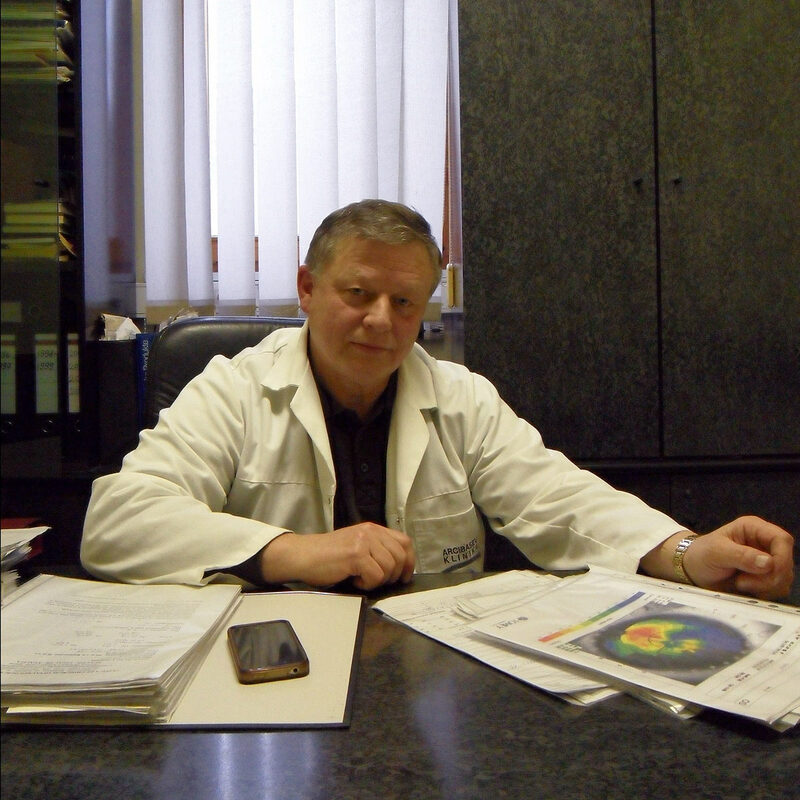 In the Fyodorov Institute Dr. Artsybashev was engaged in the scientific development of surgery for diseases such as keratoconus, astigmatism after corneal transplant and pseudophakia. In July of 1988 the institute sent doctor Artsybashev on a business trip to Italy to teach the technique of radial keratotomy to doctors from Italy and San Marino, and also to carry out indicative operations. 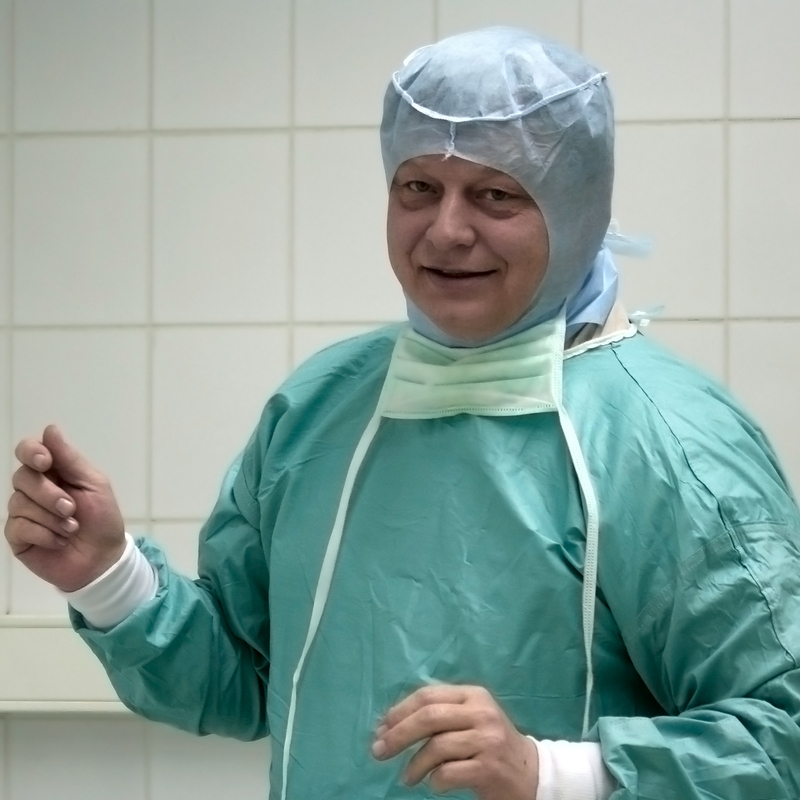 He worked in the Academician Fyodorov Eye Microsurgery Institute until 1990. In 1990 he began to work at a private ophthalmology institution in Budapest. 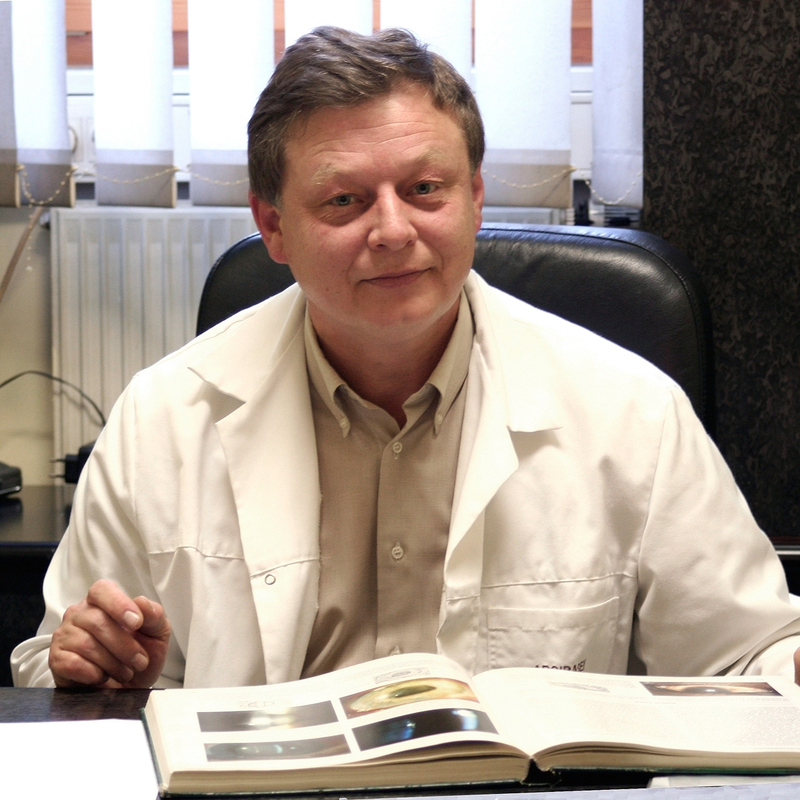 In April 1994 Dr. Artsybashev opened his own Ophthalmology Clinic in Budapest. In May 2007 Dr. Artsybashev became a full member of the Ukrainian Academy of Sciences.